The growth of political Islam is one of the most important ideological events of the past century. In these features, BBC Radio Four's Analysis programme charts the growth of this ideology - and its stunning effects around the world, including Britain. Islam is a faith and code of conduct for over a billion people worldwide. But for some, Islam is also a political project. On these pages, you can read and hear the history of political Islam's development. Koran and Country: How Islam got Political is broadcast on BBC Radio Four on Thursday 10 November at 8pm. While the practical emergence of a political Islam came with the Iranian Revolution, it was the thoughts of two men long before hand which provided much of the inspiration for Islamists around the world. Syed Abul Ala Maududi was one of these two men. His ideas opposed secularism and were arguably edged with a hint of antipathy towards Western society, almost certainly influenced by his childhood in British colonial India. Maududi's critics asked how could a journalist who h ad never completed theological training be qualified to write about Islam. But his adherents regarded him as a "revivalist", someone who wanted Islam to reclaim its former glory, a century after the British had defeated India's Muslim rulers. Maududi's vision of an Islamic state went beyond the 1947 creation of Pakistan, a homeland for south Asian Muslims, after the British withdrawal from India. When his political party, Jamaat-i-Islami took to the streets, the secular Pakistan government jailed him. "These were the middle class, young people of urban centres, often migrants from India who had settled in Pakistan," explains journalist Ehsan Masood. "They were accountants and doctors and lawyers and scientists and university academics. They saw him in a different light because for them he showed them a way of reclaiming your faith." "He wrote in very, very easy to understand conversational Urdu, which was quite an eye-opener for a lot of people." "It was almost like liberation theology of a Pakistani Islamist kind." 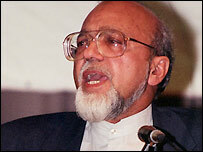 His former admirer, Ghayasuddin Siddiqui, says Maududi focussed on Islam gaining control of state resources. "For him Jihad is no more a struggle to improve your inner soul," he explains. "Instead it becomes a political struggle to impose your ideas and ideology." 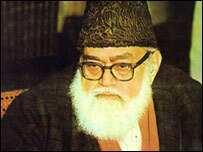 Maududi believed in the sovereignty of God over the state, which Siddiqui says was a departure from secular democracy. "Now, God has to be active partner in what happens in our society," he says. "This gave rise to the dominant position of a clerical class, because only they can decide what is acceptable to God." Maududi made plenty of enemies in his lifetime - but his most significant domestic impact came after his death. Pakistan's military ruler General Zia Ul-Haq put some of Maududi's ideas into practice in 1979, turning Islamic Sharia-based criminal punishments into law. But 2,000 miles away, in Egypt, emerging political Islam had found an enemy in the rise of Arab nationalism. Egypt's military ruler Gamel Abdel Nasser was a secular nationalist with a clear vision for the Middle East. In turn, he sought to suppress the Muslim Brotherhood, one of the most important movements in the history of political Islam. Kamal Helbawy, who lives in London, is a Muslim Brother from Egypt and has been a member for over 50 years. He is considered something of a moderate. 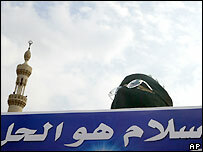 The Muslim Brotherhood had been founded in Egypt in 1928 to promote Islamic values. Kemal Helbawy joined it as a young boy when he was in secondary school near the town of Minoufiyya. President Nasser feared and distrusted the Muslim Brotherhood which was founded in 1929. While many of its projects concentrated on social works, it was its political edge that concerned Nasser. One of those imprisoned by the president was writer Sayyid Qutb, a schoolteacher who had worked in America. Qutb had found America and its culture an uncomfortable experience; on his return to Egypt he joined the Muslim Brotherhood, an apparent reaction to his antipathy towards his interpretation of Western society. His own thinking was influenced by one of the key ideas favoured by Maududi - that Muslims risked falling into the state of "ignorance" (in Arabic 'jahiliyya') that existed prior to the revelation of Islam by allowing their faith to be mixed by ideas from the West. Sayyid Qutb now took this concept much further, after his own views grew more extreme under torture by his Egyptian jailers. He said that almost all the world's Muslims were in fact living in ignorance, in Jahiliyya - and that true Islam was almost extinct. But Qutb then went further: he claimed that Muslims who did not adhere to this strict interpretation of their faith were subject to 'takfir' - excommunication. Traditional Sufi Muslims objected strongly to the idea, not least because they demanded to know who had the power to decide, other than God, whether someone was a good Muslim. However, Qutb in the 1960s that since almost all the world's Muslims were essentially ignorant of Islam, the only true Muslims would be those who struggled with him, as part of his vanguard for Islamic revolution. This has led some scholars and writers to compare Islamist movements with communism. "If you look at Milestones, you can see it is almost a Communist Manifesto, but in Islamic terms," he says. "It's full of mythical ideas, it is full of grand statements about religion that have very little basis in traditional Muslim practice. It's about a vanguard going out fighting, leading, motivating, radicalising and mobilising." In the decade after Sayyid Qutb's execution in 1966, his ideology spread. The Egyptian Muslim Brothers found a powerful new patron in Saudi King Faisal, according to Dr Ghayasuddin Siddiqui. "In 1965 when there was conflict between Nasser and [the Saudi King] Faisal over the leadership of Muslim Brotherhood," Siddiqui says. "A deal was struck between the Muslim Brothers and Saudi Arabia, that Saudis would give jobs and protection to the Muslim Brother leadership and in return the Muslim Brothers would mobilise Islamic movements in support of the Saudis." "They got together for the glory and leadership of Saudi Arabia as the custodian of two holy places of Islam." It was an exciting time for political Islam. Activists from all over the world found refuge in Saudi Arabia where money flowed and there were jobs for everyone. As the activists came into the country, new organisations sprouted - some of them running camps to spread their political ideas. And when the Soviet Union invaded Afghanistan, those seeking a cause in which to fight for the glory of their faith, knew where they would now turn. How a revolution in Iran influenced thinking around the world. Two men whose writings influenced political movements. How a holy war against the Soviet Union led to the rise of one man. How the attacks on America changed thinking and reverberate today.